he Reclaimer, from noted military contractor Aegis, is an industrial-quality salvage ship. Equipped with a reinforced cargo bay, a long-range jump drive and launch pods for unmanned drones, the Reclaimer is an ideal ship for taking advantage of deep space wrecks. Tractor beams, floodlights, scanner options and docking ports round out the tool chest on this capable, utilitarian spacecraft. Today, the Aegis Reclaimer is the company’s best-selling remaining military contract ship. 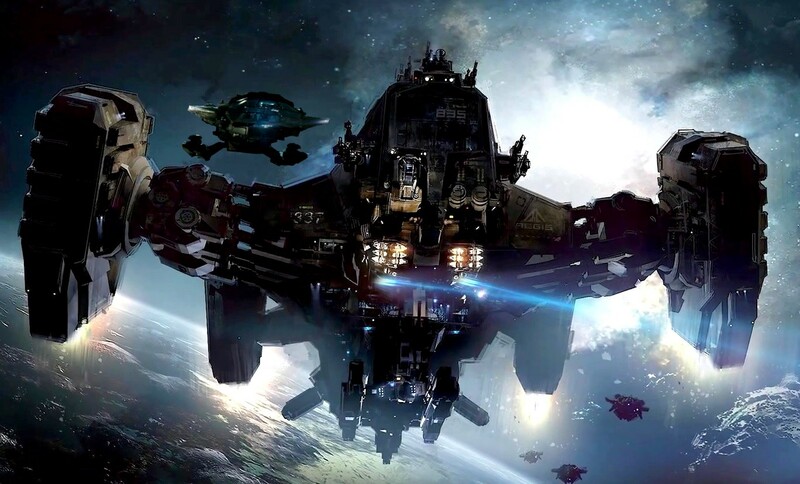 Reclaimers are heavy-duty space salvage ships designed for a strong support role. The design isn’t pretty to look at, but it features a variety of rugged specialized tools, all designed for operation in a combat theater: long-range jump drives, launch pods for drones, tractor beams, floodlights and more. Civilian Reclaimers are also a common sight on the frontier, where they are adapted as dedicated salvage ships and explorers. A crew traveling deep space in a Reclaimer should be capable of taking home some of whatever mysteries they happen across!